AfterlifeLibrary.com was created as an extension of AfterlifeData.com because we felt there was a real need for people to learn about life after death and all its related subjects from a wide variety of sources. We have been asked numerous times which books to read. 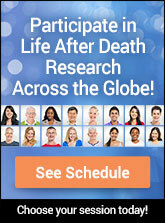 Initially, AfterlifeData.com was created to show how respected authors' opinions agreed or disagreed with information about life after death. With nearly 95% correlation on these subjects, we wanted to help people delve further into the details and how they related to each other. By guiding you with a reading list and additional references, we hope to help you more fully understand the nature of the life after death, past lives, near death experiences, reincarnation, spiritual stories and more. If you are looking for answers about life after death in relation to your own religious beliefs, you may find some interesting reading, but be prepared to go much further and suspend some of your current beliefs. The body of work that is available outside of religious dogma is vast and we have included materials and references that even date back to old Sumerian texts. There may be additional books that we have not included, but that does not mean that they do not have value in relation to this web site or to helping you learn more. It simply means that we may not have come across them or have not yet had a chance to review them thoroughly enough to see if they make sense in the context of this site. We are continually updating our database of information to bring you more material from which to learn. If you'd like to keep up with what we are doing, please sign up for our Mailing List. We welcome your comments, questions and suggested materials for inclusion in the site. Please contact us with whatever information you may want to share.